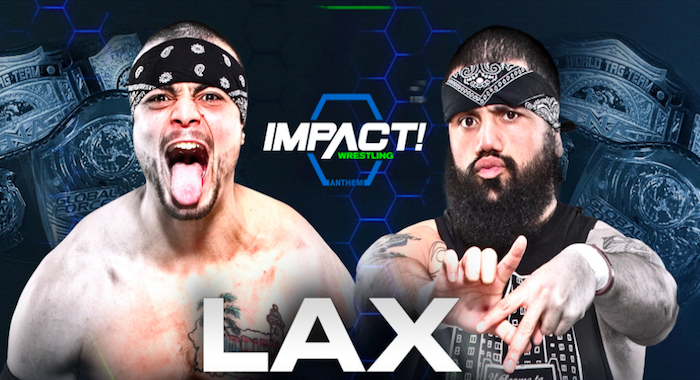 Head of EVOLVE Wrestling Gabe Sapolsky revealed on Twitter this afternoon that current-Impact World Tag Team Champions LAX (Ortiz and Santana) have been pulled from their upcoming bookings. LAX was scheduled to face AR Fox & Leon Ruff and NXT Superstars The Street Profits in a triple threat tag team match for the EVOLVE Tag Team Championships at EVOLVE 117. They were then scheduled for the main event of EVOLVE 118, where they’d team with Austin Theory to face The Street Profits & Darby Allin. No replacements have been announced as of press time.